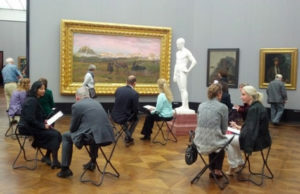 Symbolon Art4Reflection turns your visit to a museum into a coaching room. Space to pause and reflect, to reflect on your own topics and to create new solutions. It is deeply touching and inspiring! You change from understanding and behavioral control into insight and potential development. In the reflection processes, you become aware of internal dynamical processes and open up new possibilities for thoughts and actions. The reflection process is accompanied by experienced Symbolon Specialists. 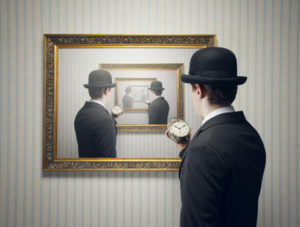 In every museum tour three artworks are selected so that every Symbolon Art4Reflection is unique. The Symbolon Specialist guides the self-reflection steps with the artwork. The various steps with examples of the participants are explained in practice and the reflection is deepened. The reflection process is accompanied by experienced Symbolon specialists. Each museum tour uses three selected artworks, making each Symbolon Art4Reflection unique. In the guided tours, the Symbolon specialist introduces the self-reflection steps with the artwork. The different steps with examples of the participants are explained in a practical way and the reflection deepened. Symbolon Art4Reflection is a highlight for your potential development. Based on the fantastic feedback from hundreds of participants over the last few years, we can promise you that Symbolon Art4Reflection will inspire you. The Symbolon Art4Reflection Team has grown! 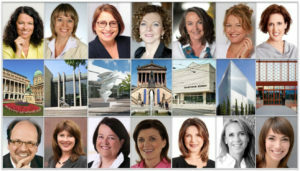 From August to December we offer – 14 Symbolon specialists at over 40 museum events in various art houses in Europe and the USA: Bonn, Bratislava, Bremen, Budapest, Chur, Dusseldorf, Frankfurt, Hamburg, Hanover, Cologne, Leipzig, Lucerne, Prague, Princenton and NYC. This event is also to inquire as an exclusive tours for teams and groups of your company in a museum in your area. The costs of the guided tour comes to € 30 in all cities with all specialists.